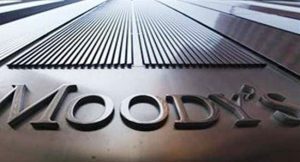 Moody’s Investors Service says it may take a while for Nigeria and other sub-Saharan countries to recover from the foreign currency shortage at the forex market. In a report titled, Foreign Currency Shortages are Subsiding But Will Take Time To Overcome, the agency said although foreign currency shortages in Nigeria and other sub-Saharan African countries are easing, it will take time for the sovereigns, banks and non-financial companies to restore their financial health. The credit rating agency attributed the dollar shortages to lower oil and commodity prices which had hit the finances of countries in the sub-region. Also according to the report, banks in Angola, Nigeria and the Democratic Republic of Congo remain the most affected by foreign currency shortages due to their economy’s high reliance on dollars. Moody’s expects these challenges to continue in 2017 but ease in 2018.